City’s biggest cricketing event Little Masters Challenge, 2014 ‘clean bowled’ Tobacco in its 9th Edition this year. Salaam Bombay Foundation organizes Mumbai’s largest cricket tournament where more than 400 young children join to witness the event. Hundreds of young enthusiastic children from across the city watched and cheered as their peers participated in Mumbai’s largest cricket tournament for municipal school kids -- the Little Masters Challenge 2014 -- organized by Salaam Bombay Foundation. The finals of the event were held on February 7, Friday, at Brabourne Stadium, Churchgate. Little Masters Challenge is Salaam Bombay Foundation’s annual cricket tournament that aims atencouraging competitive sport among children from municipal schools. The organization strongly believes that sport can empower children along with teaching them discipline, goal setting, team-work, determination and leadership skills while keeping them motivated to stay away from challenges such as tobacco consumption. To encourage the children and guide them through their journey Mr. Rameshwar Lohe, Senior Supervisor, physical Education Department, BMC was present during the event. The tournament gave an opportunity to children to participate from across all municipal and government aided schools in Mumbai. Around 38 school teams participated for the title of "Little Masters" this year. The finals of the tournament included four teams who participated (under 14 & 16 years each), with participation of children from St Anthony’s School against team from Salaam Bombay Foundation. Young kids experienced the privilege to play on sacred turf of Cricket Club of India. Rameshwar Lohe, Senior Supervisor,Physical Education Department, BMC says “These children have trained very hard to reach so far. It is an experience of a lifetime for them to come and play here. Sport and LMC will definitely play an important part in shaping their lives”. 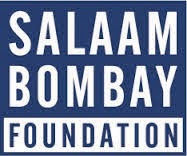 Salaam Bombay Foundation, a non-profit organization, was established in 2002 to empower children to say no to tobacco. The organization provides children with training, performance and reflection platforms to develop life skills that lead to personal and vocational empowerment. These platforms are made available through the Sports, Arts and Tobacco control advocacy programmes. At Salaam Bombay Foundation, we believe that empowerment leads to informed decisions. The organization is active in 87 municipal and 34 government-aided schools in Mumbai and its outreach programmes have reached 27 districts of rural Maharashtra.